Step-1. Go to Browser open new tab and write Gtmetrix.com or next tab write pingdom.com. Step-2.Copy your website Url and paste Gtmetrix Analyzer Box then click Analyze Button. 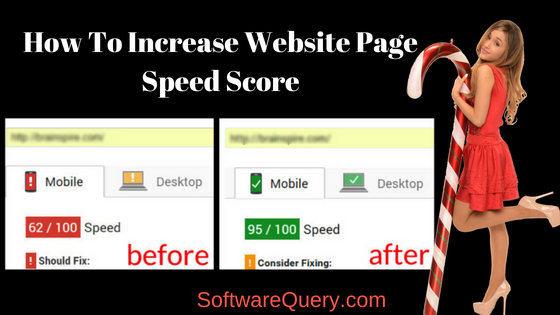 After few second Gtmatix Showing your website result writedown page speed score in notepad. Step-3. Check your website Page Speed Score in pingdom.com.Go to the browser and Copy your website URL and paste URL pingdom.com Url Box. Set the location where you want to check your website then click start Test button. After few second pingdom.com Showing, your website page speed score writes down page speed score in notepad. Step-4. Go to Cpanel or FTP open htaccess file. Step-5.Copy this code and paste htaccess file then save. Step-6. Recheck your website page speed score in Getmatix.com or pingdom.com. Hopefully, it's working on your website or WordPress blog.